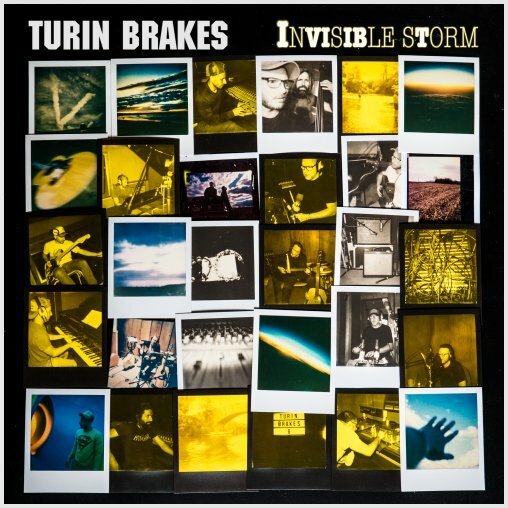 On Saturday 20 February 2016, Turin Brakes played Union Chapel. It’s been fifteen years since they last played this venue and much has happened in between. The members of the band are mostly the same though! Olly, Gale, Rob and Eddy. And some audience members were there last time too! I wasn’t, in fact I had never been to Union Chapel before. But here I was, with several good friends and fans to watch our favourite band bring to live some new songs and some old songs. Here’s my report! So about the venue: It’s a nice venue, although their booze policy is a bit odd (no alcohol in the venue itself, but in the bar next to it, soft drinks and hot drinks were allowed, because Coca Cola is the Lord’s work?). 😉 But I wasn’t there for the drinks, I was there for the music. After catching up with other Turin Brakes fans at the pub down the road, we arrived at the venue a little past 7PM to claim relatively good seats. We ended up on the right side of the venue, about three rows down from the front. With some time to spare till Tom Speight kicks off his support set, we nip down to the merch stand to buy some merch (there are nice big Lost Property prints, a new alien dude t-shirt (that’s also featured on the Lost Property artwork) and Eddie Myer’s new jazz album Finders Keepers. His old one, Why Worry? is for sale as well. Then we head off to the bar for a quick drink, arriving back in time for Tom Speight. Tom’s been featured on this site before and I was quite excited to hear his songs live. He brought a big band for this London set, including a drummer, guitarist, bass player, backing vocals (Eliza Shaddad, with an amazing voice) and a choir to boot. Working his way through old and new songs, he set the vibe very nicely for the main set of the evening. While Olly didn’t come out to provide backing vocals on Little Love, Shaddad made a great replacement. There were even some moments that could have sparked some dancing this early in the evening, if only we were not in a church and sitting down… Falling may prove a great single with some sing-along potential. This crowd seemed here to listen though, being very quiet and respectful to this supporting band. One of the highlights, naturally then, was Willow Tree: a lovely ballad. If this all sounds right up your street, then make sure you come to the venues early, Tom’s playing this whole tour! Between the two sets was time for more chatting and drinking. I got to say Hi to some more nice fans until, right on time at 9PM Turin Brakes entered the stage for the main set of the night. Kicking off with 96, however, it quickly became clear that something was wrong. Gale was having major technical issues and thus we got a glimpse of Turin Brakes without his stellar guitar work. It’s… not the same ;). It took another five minutes of the band joking around, before the situation was resolved and the band launched into yet another rendition of 96. This time with Gale rocking out, every other riff he played was met with cheers. So yea, after that, it was bound to be a memorable night. The band quickly fired into two more new songs: Keep Me Around and Lost Property. Especially the title track was a great fit for this venue. The band sounded perfect here, the lyrics clear and Olly’s voice being majestic in places. In fact, I’d say the new songs provided most of the highlights of this evening. Jump Start was another, played after the nostalgic road trip Mind Over Money, We Were Here and Future Boy. After a nice shout-along during Jump Start (sorry everyone who was sitting close to us), the band threw a curveball by launching into Last Chance, a song they haven’t played in a while. Then it was time for more classics: 72 (less rocking than in previous outings, but still nice nice nice), Painkiller (I think my voice went after the last Leave All This Misery Behiiiiiiiiiiind) and Fishing For A Dream. When the band came back, they appeared to launch into Rescue Squad but instead they fooled me and played Sea Change instead. The encore consisted solely of long lost friends: the romantic Forever and what else then Underdog (Save Me) with the extended reggae intro and Rob’s epic drum moment to end this great evening? A part of the crowd seemed happy with this as a closing song for what was a majestic evening. But some of us kept screaming for more and finally, as the audience noise grew louder, the band returned for a final song: Slack. With most fans finally standing up, it was a rousing final encore for a great, tight show that lasted for exactly 90 minutes. People going to the Lost Property tour dates, better listen to the old albums as well, especially The Optimist (though longtime fans probably know this one by heart). Some new songs that could have used a great live outing, like Rome and The Quiet Ones didn’t get played tonight, sadly. But perhaps they’ll work their way into the live set as people get more and more familiar with the new album. I had a great time, and so did the nice people I was with. Thanks everyone for the great, great night! If previous tours are anything to go by, this band only gets better as they play more and more dates. So it will be interesting to see how epic the final shows of this UK tour turn out to be… And then it’s off to Europe for more live greatness. I shall be attending, when that tour hits The Netherlands. And still buzzing from Saturday night I’m happy to say that I CAN’T WAIT!